Medical Billing & Water Utility Software Systems from a Certified IBM Business Partner. Providing the highest quality support at the most reasonable rates. Leveraging 30 years of experience, the technology professionals at Arkansas Data Systems have developed reliable and comprehensive solutions for medical practices and waste water utilities. Find out why more than 150 companies and municipal utilities have put their trust in Arkansas Data Systems. The power and flexibility of the iDOCS Medical Practice Management System can serve your medical practice on every front. 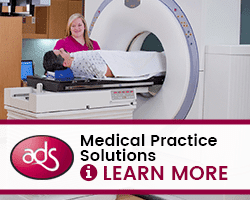 iDOCS handles virtually all specialties, including the unique requirements of anesthesiology and radiology, plus the heavy and varied workloads of medical billing service businesses. The requirements of Medicaid billing, non-profit service providers are also met by iDocs. Our practice management solution runs in the cloud or in-house on the IBM i Power servers. 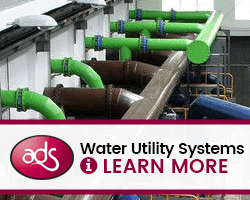 Our Utility Management System (UMS) addresses the needs of small to medium-sized water utilities. Our rich and full-featured software stands out when it comes to billing, the bread and butter of utility businesses processing between 5,000 and 50,000 meters. From accounting, payment solutions to document management, the UMS system can provide you with a powerful, IBM i Power Server driven solution or secure, cloud-based systems that will dramatically increase the productivity of field and business office personnel. Our commitment to service will become clear even before you become a customer. Call on us to help determine if our solution will work for you. We will be with you through every phase of migration from initial requirements identification, to planning, through training, and implementation. After implementation, we are here to provide quality ongoing support. For special needs, we offer consulting, design, conversion, and custom programming. We can help you meet your business needs on every front at reasonable rates. When you need support, you need it fast. With ADS, you don’t wait hours for assistance. At Arkansas Data Services, prompt technical support is only one call away. We don’t use outside agencies: When you call us, you talk to us. Our system experts will get you the answers you need right away. Most businesses don’t take vacations, and neither does our customer support. Our implementation specialists work with you from the beginning to ensure a smooth transition into our solutions. Through communication at every stage of the process, we work closely with you to assess your needs and to develop an implementation plan tailored to your business. 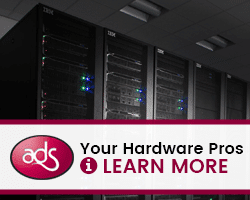 Training is crucial to fully utilize your new solutions from Arkansas Data Services. We are skilled at providing on-site and remote education to our customers during the implementation phase and beyond. At Arkansas Data Services we pride ourselves on really understanding your business. If our core solutions don’t meet your specific needs and require special handling. Our team will work with you to meet your objectives. We look forward to the opportunity to use our technical know-how and experience to help you achieve your goals. 2018 Arkansas Data Services, Inc.